Engineered to transcend definition, the 2015 Hyundai Veloster combines the sporty performance of a coupe with the accommodating capacity of a sedan, without falling into either category. The three-door that started the new revolution of fun-to-drive-yet-practical automobiles, Hyundai's signature mid-size fills a niche you can't help but want to fill. An artfully designed exterior, spacious interior, and a slew of modern amenities throughout, the 2015 Hyundai Veloster is the quintessential reflection of modern driving dynamics. Built on a belief that you should have to sacrifice performance for safety, or capability for practicality, the 2015 Veloster allows drivers to go farther, save more and take everyone along for the ride. 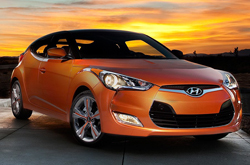 Learn more about this advanced automotive marvel as our in-depth 2015 Hyundai Veloster review continues below. 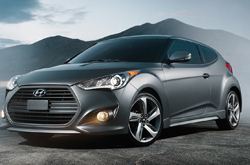 New car shoppers will fall in love with the 2015 Hyundai Veloster in Arlington. Completely customizable and catered to any driver, this innovative auto is available in a variety of flavors. From the speedy and dynamic Veloster Turbo R Spec with over 200 horsepower packed under the hood, to the eco-friendly Hyundai Veloster Coupe that gets 36 miles to the gallon. You can further refine which Veloster fits your personal style from the Veloster RE:FLEX with leather seating and 18" alloy wheels to the Veloster Turbo with proximity key access and 450 Watt sound system. Backed by a remarkably powerful inline 4-cylinder engine that allows it to achieve an aggressive and impressive acceleration, and seated on a sport-tuned suspension for gripping the curviest roads, this power packed 3-door gives you the gumption you want from a sports car, without the 6-digit price tag. Anti-lock brakes with brake assist help you stay firmly planted when the terrain turns sour, and torque vectoring controls help guide your wheel speed to adjust to any changes. Additional safety features like unibody construction, rear-view camera and 6 airbag protected cabin provide additional peace of mind, all standard. Stop in and test drive the all new 2015 Hyundai Veloster in Arlington today to see why this vehicle is shifting the future of personal mobility. Check out the rest of our 2015 Hyundai Veloster review as it resumes below for even more details! The 2015 Scion tC, Mitsubishi Lancer Sportback, Volkswagen Scirocco, Volkswagen GTI and the Mini Cooper S are no match for the 2015 Veloster! 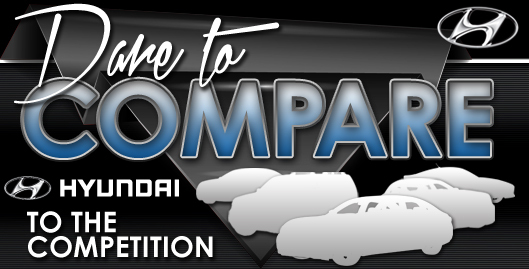 Just compare Hyundai's most current model next to them and you'll discover that it outperforms the competition easily. With cutting-edge onboard technologies and an splendid design, shoppers will love the Veloster. It's a fantastic value. Just compare its price to the aforementioned vehicles and you'll definitely see why so many Dallas-Ft. Worth drivers love it. Find out more information about what it offers in our bullet list below this paragraph! Make the most out of your next Hyundai purchase. Vandergriff Hyundai offers reviews like the 2015 Veloster one above, along with reviews of older models, so you can research before you buy. With the dedication of some of the finest automotive writers in the business, we've managed to get reviews written for all of our models. To make intelligent decisions when it comes to your next Hyundai purchase, don't guess! Each article is stuffed with facts, including info about vehicle features, in an easy-to-understand clear format. 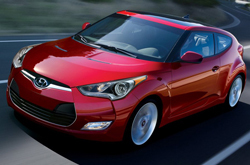 Is the Veloster not the right pick for you? Learn more about other vehicles on sale at Vandergriff Hyundai using our reviews index page. With it you can review and compare Hyundai's entire lineup of vehicles.